Found in Manatee County, Bradenton, Florida has a population of about 52,000 residents. It's a part of the Bradenton-Sarasota-Venice Metro area, which has a population estimated at nearly 700,000 residents. Along with the many residents found throughout this area, many tourists come to the Bradenton area every year, as well. With so many top beaches and Tampa not far from the city, it gets rather congested between the regular residents and the visitors. Interstate 75 runs through a small portion of Bradenton and offer access to the area. The I-75 portion found inside the state of Florida is the 15th deadliest interstate in the United States. Bradenton is known as a pedestrian friendly area, but also has seen many accidents involving pedestrians over the past decade. According to the National Highway Traffic Safety Administration, traffic accidents in Manatee County are a major public safety issue. Bradenton includes many multi-lane roads meant for heavy traffic, not pedestrians and cyclists. Car accidents in Bradenton, Florida are on the rise. Local law enforcement officials have to issue traffic tickets and monitor the Bradenton roads or this would be much worse. More than 25,000 traffic tickets were issues throughout Manatee County for 2015. Out of those 25,000 tickets nearly 11,000 were for speeding with another 4,100 issues for careless driving. The red light cameras caught another 3,145 drivers running a red light. Only 4% of the tickets issues were dismissed by a judge, which means your chances of having a traffic ticket in Bradenton dismissed are very slim. The State of Florida allows you the privilege of driving. However, if you accumulate too many points for traffic violations, they will also suspend your driving privileges. 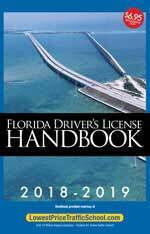 It only takes 12 points in a 12 month period to lose your Bradenton license for 30 days. Even worse, if you get 18 points in 24 months, you'll lose your license for 90 days and 24 points in 36 months will get you a full 365-day suspension of your license. It doesn't take many traffic tickets to rack up enough points for a license suspension. With just 2 to 4 tickets in one year, you may lose your license for 30 days. You do have the ability to keep the points from one ticket per 12 months from going on your license. By enrolling in online traffic school in Bradenton, Florida, you can keep your insurance rates from going up and points off your license. In Bradenton, Florida, you can eliminate the points from one ticket every 12 months, up to a total of 5 times in your lifetime, by taking a Basic Driver Improvement Course. This course is known as defensive driving or traffic school. You can take the course online, at your convenience and once you complete it, you will be issued a certificate of completion. Start by pleading guilty or no contest to your violation and paying the ticket. Then, inform the clerk of the court for Manatee County (or the county issuing the ticket) that you want to take traffic school. After you've informed the clerk of the court, you can enroll in traffic school online and take the course. Once completed, just return your certificate to the clerk of court and you will avoid points on your license, along with a hike in your insurance rates. 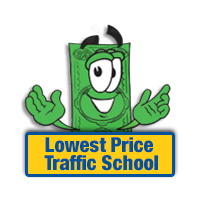 The State of Florida allows every driver the ability to take traffic school up to 5 times. However, you're only allowed to use the course to eliminate points from a traffic ticket once every 12 months. You can check with the clerk of the court to ensure you're eligible when you pay your ticket. The Manatee County Clerk of the Court takes all payments for traffic violations and handles information you may need for your ticket. If you will be attending traffic school in Bradenton, notify the Clerk of the Court when you pay your ticket. You can find more information about the Clerk of the Court when you visit their website.